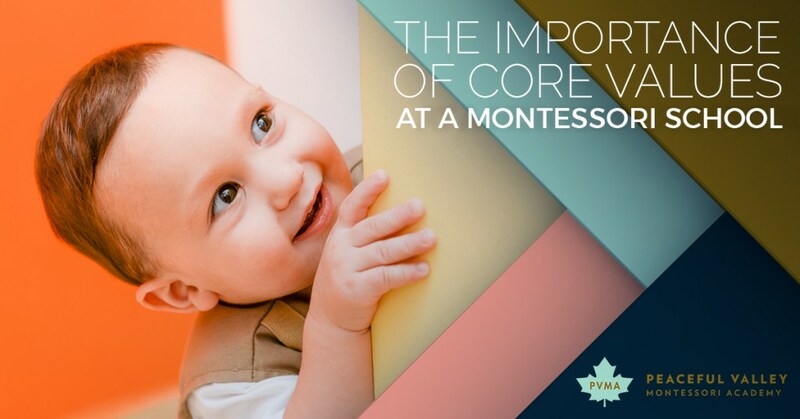 When we started our Montessori school, we didn’t just want it to be another preschool or daycare. In fact, we didn’t even want to be “just another” Montessori school. We started our school based on three core values that not only help our students but also the parents, teachers, and world. Let’s take a look at what our three core values are. Once a child starts interacting with other children, it’s important to foster important leadership techniques. Now being a leader can mean different things in different situations. For instance, it certainly can mean being the one who decides what the class will do next. But it can also mean being strong and accepting the situation as it stands. Leadership can also mean accepting responsibility even when a child doesn’t necessarily want to lead. A child must learn that there will be times when they have to make a decision, even if they are uncomfortable doing so. After all, deciding what everyone in class will do can be a big responsibility, especially if they fear it won’t be the most popular decision. Sometimes this means encouraging them to make the decision on their own. Other times it might include enlisting the help of others to come to an agreement. Finally, leadership can also mean simply doing the right thing in a particular situation, even if there’s nothing material to be gained from it. An act of compassion toward another student might be the right thing to do, and is especially noble if that act of compassion costs the child something (such as consoling another child but losing out on some free time). Leadership sometimes means showing other children the right way to act in a particular situation. Everyone is a citizen of the planet, but not everyone truly exhibits citizenship. Citizenship is the second core value our teachers want to foster in children, ensuring that they know that they are citizens of the world, the state of Minnesota, Golden Valley, Pleasant Valley Montessori Academy, and, of course, their individual family. This means taking responsibility for any property entrusted to them (markers, paper, the classroom) but also treating those around them with respect (teachers, parents, strangers, and, of course, other students). If a child is raised knowing that they should work toward the greater good then they are more likely to grow up helping those around them. In short, we want to help parents create children who grow up to make the world a better place. But we’re also incredibly insistent on partnering with the parents as much as possible. That’s because we know very well that we’re far from the only influence on each child’s life. Parents not only help children learn — reading to them each night is an excellent example — but the love a child shares with parents means that the learning becomes something incredibly special. We want to use that love as a springboard to further learning during the day, which means knowing exactly where a parent believes their children are in the learning process. As we discussed in our last blog, far too many Montessori schools are “hands off,” insisting that their teaching methods are the best for every child. That’s not our Montessori learning center. We want to partner with the parents and be able to talk with them about anything, even difficult topics. When it comes to our three core values, each plays a critical part in your child’s early childhood education. We keep them close to our heart because we know how important each is in creating a learning environment that’s right for the child. We also use them to help each child find their way in the school, encouraging leaders where others might not see any; creating citizens from children who might not know about their world; and forming partnerships that we hope will last a lifetime. If you’d like to learn more about what our Montessori preschool can do for you child or children, contact us here!